Immersed in greenery, but only a few minutes' away from the sea, the villas share the large garden and pool, but have their own private, equipped terrace and garden area, perfect spots to enjoy a relaxing holiday among the scents and colours of the Sicilian countryside. Built on one level, the villas have been stylishly furnished with great attention to detail and include a cosy living/dining room with kitchen, two double bedrooms, a twin bedroom and two bathrooms. Entirely independent from each other, all villas have internet wi-fi, ceiling fans, central heating, washing machine and dishwasher. The property boasts also a privileged position: the baroque towns of Scicli, Modica, Ragusa-Ibla and Noto, the beaches of Marina di Ragusa and the Vendicari nature reserve are all a short drive away. Ground Floor: living/dining room, kitchen, 2 double bedrooms, 1 twin bedroom, 2 bathrooms with shower. Facilites: Washing machine, Dishwasher, Iron, Hairdryer, Fridge, Freezer, Toaster, Television, Satellite receiver, Hob: 5 gas burners, electric oven, Highchair, Fans: 5 / ceiling. Immersion blender. Exterior:Terrace (80 m²) with pergola, garden 1000 m². Bruk av strøm Inkludert i leieprisen er 210 kW per uke. Brukes mer betales ved avreise € 0,40 per kW time. Oppvarming Betales ved avreise i henhold til forbruk. 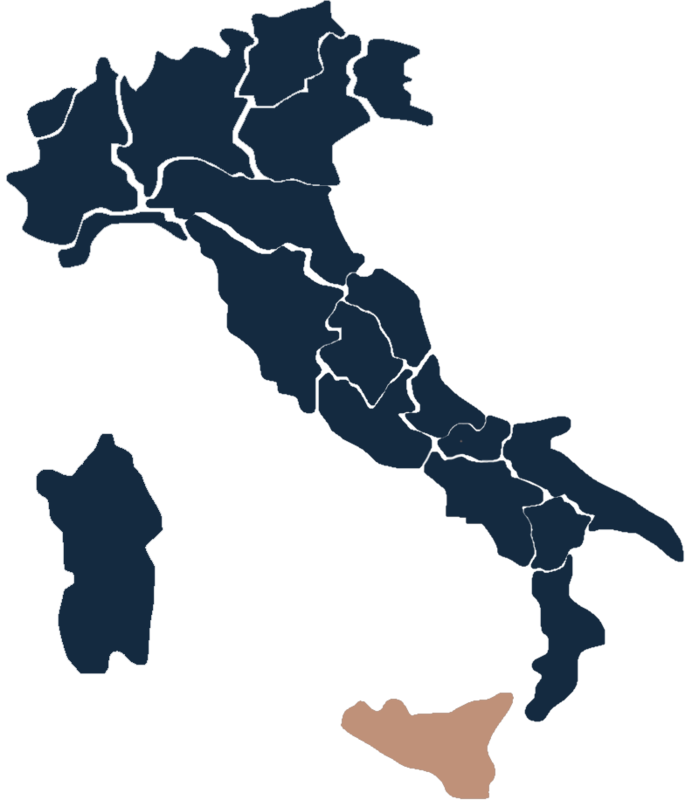 Airports Comiso 65km, Catania 127km, Palermo 355km, Trapani 435km. Places of interest Modica 20km, Ragusa Ibla 40km, Siracusa 75km, Agrigento 170km. Seaside Sandy beach (Sampieri) 2,3km, Rocky beach 2,6km.